Priority #1: Protection of copyright and creators’ rights. Priority #3: Coordination with the Patent and Trademark Office (Department of Commerce) and the United States Trade Representative. SFWA also recommended that the Register of Copyrights should have autonomy and a budget commensurate with their increased responsibilities, but that it should not be financed by registration, recordation, or other fees levied on rightsholders, which are counterproductive to the registration system. The full submission can be read here. SFWA’s submission to the House Judiciary Committee reiterated some of these recommendations, emphasizing the need for the Copyright Office to build on its digitization project to create and maintain a comprehensive database of copyrighted works, including an Author Information Directory so that authors may easily be identified and contacted. SFWA also outlined ways in which the current system of identifying heirs and other transferees of copyrights can be improved. SFWA’s comments can be read in full at https://tinyurl.com/ztf5avb. Other comments submitted, including those from the National Writers Union and Authors Guild, can be viewed at https://tinyurl.com/zd67t86. And finally, SFWA contributed to and signed on to the submission of the National Writers Union to the Copyright Office concerning Group Registration of Contributions to Periodicals. Broadly, SFWA believes that group registration should be expanded to included published texts included in “containers” such an anthologies, collections, chapbooks, and other publications containing multiple short textual works. The NWU/SFWA/HWA/ASJA submission can be seen at: https://tinyurl.com/zvrvrju. It would be nice to see a priority 2.5 that stresses a limit to the duration of Copyright as called for in the Constitution. Perpetual copyright serves no one’s interests and is opposed to the original purpose as laid out. Life +70 is easily enough time if not about 50 years too long. 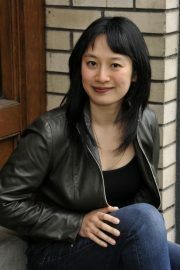 Fonda Lee is the award-winning author of Zeroboxer (Flux) and Exo (Scholastic). A recovering corporate strategist, when she is not writing, she can be found training in kung fu or searching out tasty breakfasts. Fonda lives in Portland, OR.